Jacob McManus of Barrington began horseback riding at age 5. 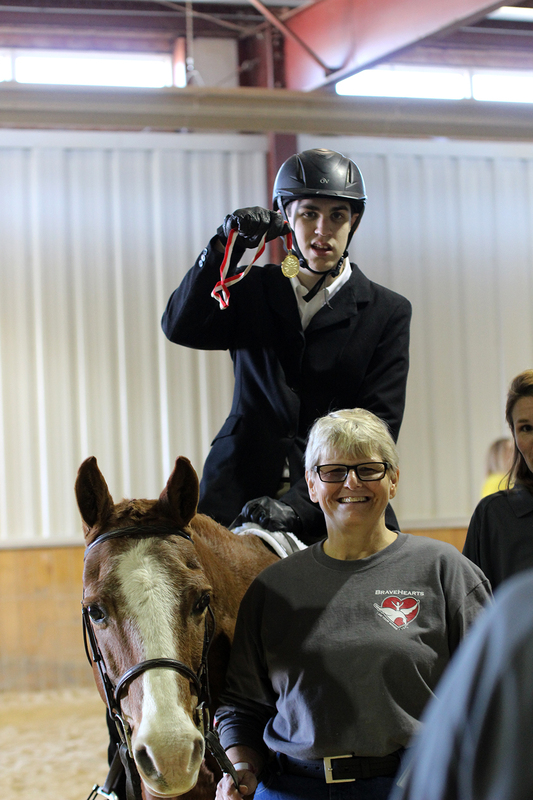 Now, 13 years later, Jacob will represent Illinois on Special Olympics USA and compete in equestrian at the Special Olympics World Games Los Angeles 2015. At Special Olympics USA Training Camp, Jacob McManus met his fellow World Games teammates and demonstrated his riding skills. In addition to gearing up for the 2015 World Games, Jacob and his family will also be running in the Special Olympics Unified Relay Across America presented by Bank of America when it passes through Chicago in June. The McManus Family will be a part of the Captive Resources Team – a team that has currently raised more than $17,000. The Unified Relay gives anyone in the country a chance to carry the Flame of Hope that will be lit in Athens, Greece, and help deliver it to Los Angeles for the Special Olympics World Summer Games. Over the course of 46 days, in a hand-to-hand exchange, thousands of participants will run, walk or bike a segment of the relay in this team and individual fundraising event as it passes through all 50 states via 3 routes. The relay will culminate at the Opening Ceremony of the 2015 World Games in Los Angeles on July 25. The Unified Relay travels through Illinois via two routes. The Central Route will pass through Southern Illinois June 8 and 9 and the Northern Route will come through Chicago June 12 through 14. All Unified Relay participants must register and fundraise by May 25. For more information and to register, please visit www.soill.org/unified-relay. After entering into a therapeutic riding program, fell in love with horses. 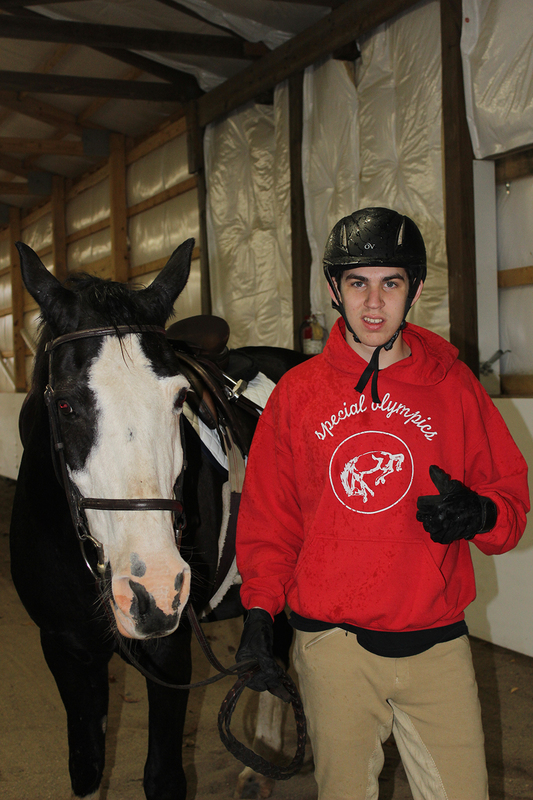 Jacob, who has autism and was non-verbal at the time, used horses to aid in everything from his social and academic skills to creating a vocational path for him. At the age of 9, he began competing in Special Olympics and has competed annually ever since. 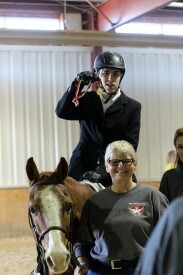 His parents, Stacie and Michael, feel horseback riding has been an integral part of his success. “He used to do spelling words and addition and subtraction on the back of a horse when he was younger,” explains Stacie McManus. Jacob currently trains at Bravehearts Therapeutic Riding and Educational Center in Harvard. 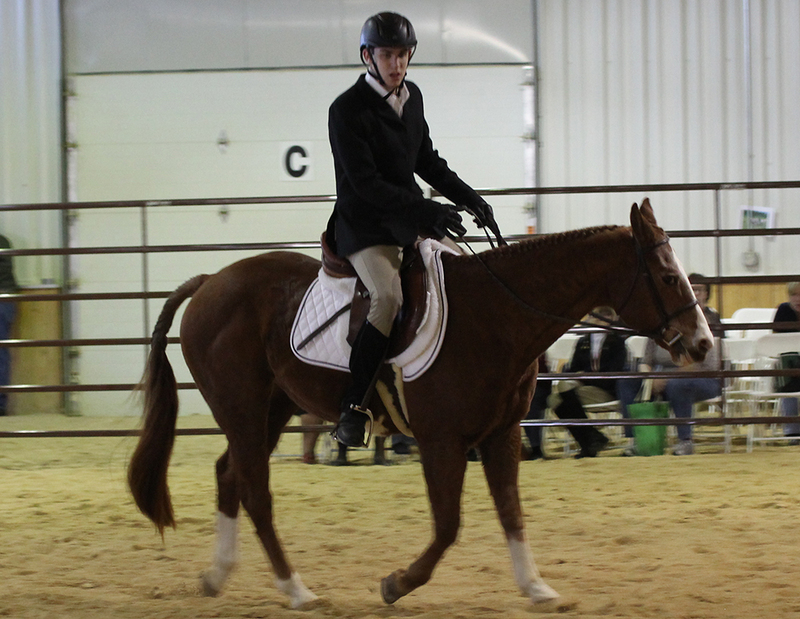 He has ridden both English and Western seats in a variety of classes to further challenge his riding skills. He says his favorite part of competing has been winning, but his parents are grateful for the bonds he has developed with the horses, coaches and volunteers. Nearly 500 athletes and coaches were selected to the Special Olympics USA delegation, including 15 athletes from Illinois and 8 coaches. This group will join more than 7,000 athletes from 177 nations who will compete in 25 Olympic-type sports July 25-Aug. 2 in Los Angeles, Calif. If you’d like to support the Captive Resources Team or another Illinois Unified Relay team, please click here.